This little device can perform miracles for your health when fitted to the water supply connected to your faucet. The device is not a water purifier, and it cannot remove physical pollutants that may be in your drinking water, but what is does do is alter the structure of your drinking and bathing water in a number of different ways. In spite of its small size ( only 60mm x 35mm x 20mm ) the device packs a mighty punch outputting a power level equivalent to 5 times the strength of any Homoeopathic Remedy bought at a Pharmacy, ensuring that the beneficial effects can be felt immediately. Of course if you have an under sink water filtration system that is good and you can place the Mini Spring on the hose that leads out of the system. If you can find the place where the water pipe comes into the house you can attach the Mini Spring to that, and have all the water in the house energized. Even the most hamfisted or incompetant person can fit this device in minutes, and the device requires no adjustments and once fitted can be left in place and forgotten about. Fitting involves finding the cold pipe leading to your faucet and coiling the output electrode around it. 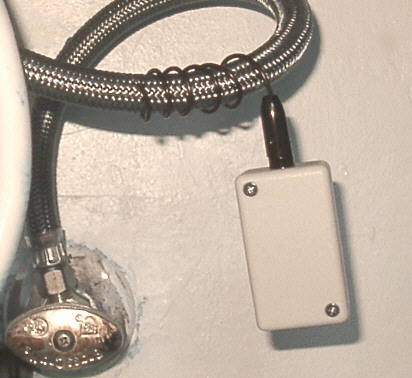 The electrode is then plugged into the unit and hangs there on the wire, as shown in the photograph. 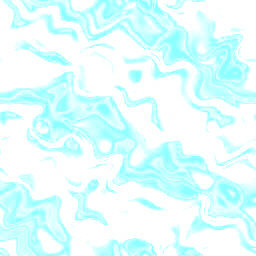 Type A places into the water supply all frequencies from 1Hz to 100Khz, plus an energy program which trains the body to select out exactly which frequencies it requires for optimum health (on a day to day basis) rejecting all others. This injection of subtle vibrational energy also serves to wipe the water clean of any negative or pollutant frequencies that might be present in the water, which although might not be detectable physically, could still have been very harmful to the health. The devices also improves the taste of the water, giving a noticable "zing" with the advantage of inumerable health giving qualities. Interestingly we have observed this treatment is particularly valuable to users with skin conditions, such as excema, as the itching often disapears within minutes. 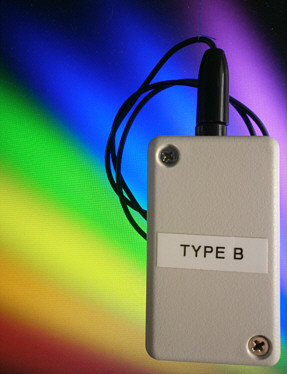 Type B places into the water supply "Rainbow Energy", the vibrations of all the colours of the spectrum, the joyous exultation of healing light, a non-specific cure all that is beneficial to everyone, whether they are healthy or not. Incorporates an additional program to ensure that the colors of the spectrum stay separate, and do not mix to make brown. 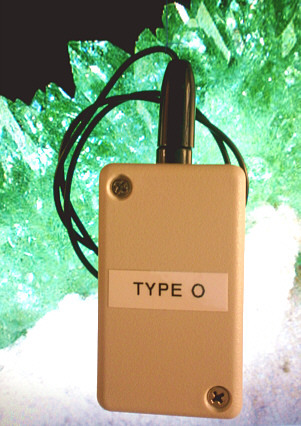 Type O places into the water supply any vibration that you yourself have specified. You tell us what vibration/s you would like your Mini Spring to output, and we will make it so. For example you could specify a Gem or Mineral vibration or collection of vibrations, Color Remedies, Flower Remedies, Homeopathic Remedies, or a mixture of all of them, the choice is up to you ! Whatever you choose all you need to do is send us the details of what you would like your Mini Spring to output, and we will program it in using our special potentising equipment. Because of the work required in doing this ( preparing a custom energy program ) there is a fee of $150.00 for the first one. If you want more of the same custom type, those would be available to purchase at the standard charges shown below. Please note: No magnets are used in this device, also, the unit is not designed for outdoor use. Just wanting to let you know that I have received the parcel yesterday. I have connected the water purifer ( Mini Spring ) and the water tastes wonderful. We had a little taste test with the other water samples and the purified water sample does taste different and light with more energy. Thank you :) Cheers, Lakshmi - Victoria, Australia. Thank you so much, I received my mini spring about 2wks ago. You are right even I was able to install it. I am a 10 thumb person so for me this was a major accomplishment. I put it right where the cold water comes into the house and I noticed after my 1st shower I did not need to moisturize from head to toe. Woo Hoo! Sabrina G, Toronto, Canada. Received Mini Spring today, as previous testimonials have stated, water very "zingy" and vital ( seems to penetrate all cells instantly..even in the head which surprised me) incidentally, I found quite a sharp taste to the water when I put it on the main water supply as opposed to the pipe leading to the cold tap ( and drinking from the water when on mains input gave me recurring taste like Germoline for hours). I then ran the hot and cold water for 30 minutes ( boiler switched off) and the water is lovely now. I guess the pipes needed a good cleansing from energetic contaminants. Howard G, Glos. United Kingdom. or by USPS International First Class to everywhere else in the world. Please specify when you order which two you would like. 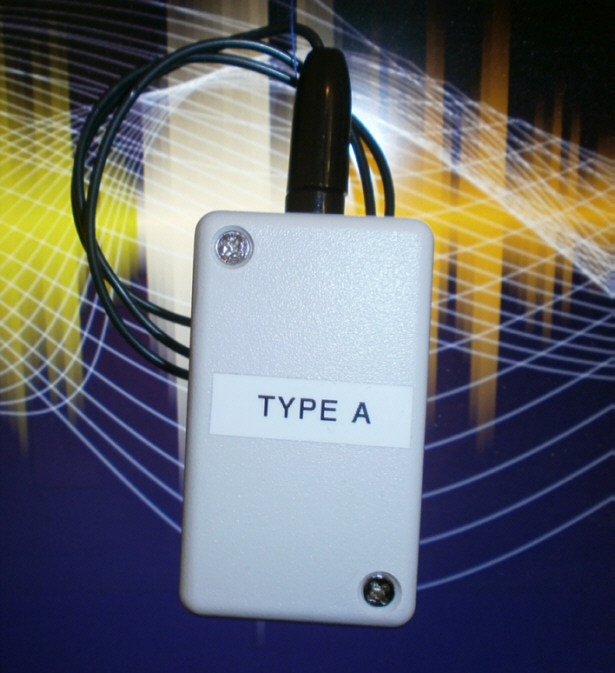 Buy 1 Mini Spring Type O and please specify at time of ordering what vibrations you would like it to output. Guide Price $5,000 - $5,500. Construction difficulty level 2. Mini Springs can be made in ten minutes and have huge sales potential. They could be sold to Health Food stores, or on Amazon or Ebay. The right sales promotion is key here.